My Skillshare class is live! I’m excited to announce that I’ve just released my first class on Skillshare, Abstract Art with a Twist: Personalize a Modern Masterpiece. 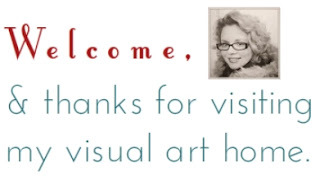 I want to invite you, my art enthusiast friends, to enroll for free with by clicking here. 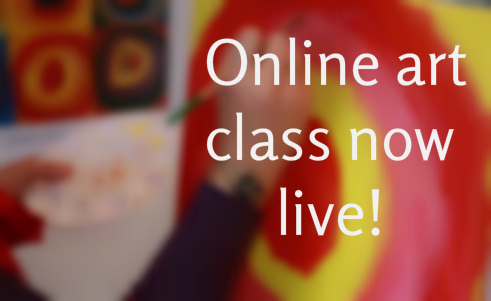 If you have wanted to push your imagination and creativity to new boundaries, then why not enroll in this online abstract art class? Your enrollment will take one minute, is totally free, and will help my class gain some traction. My goal is to reach 25 students and 5 reviews by next Saturday. The total video time is less than 30 minutes. If you don’t have time to watch all the videos right away, I totally understand, but I hope you’ll be take a quick moment to enroll and leave your feedback as soon as you get the chance. 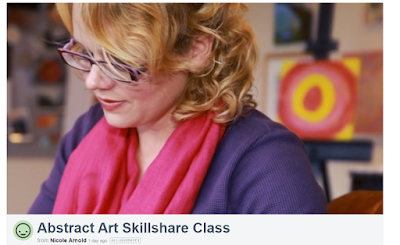 You may even find some other classes you love on Skillshare. There are so many. 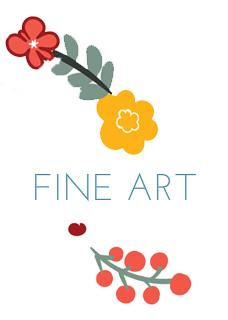 Please reach out to me if you want a recommendation for an awesome business, art, or (even) knitting class! Remember that you can enjoy those classes for free for a month with this link. Watch the intro video, and take a look at the class supply and resource list. Skillshare has an excellent platform for sharing projects and communicating with your fellow students (and with the teacher). For just $10 per month, you can take any number of classes on subjects ranging from how to launch a business to graphic design. 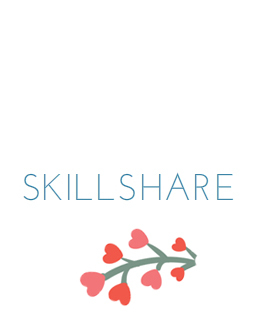 I will even be able to share some links with you so you can try out Skillshare free for a limited time. I can't wait to see my new students' projects! Artists need other artists to help them stay inspired to create. I've rounded up some spooktacular Halloween-themed projects in addition some gorgeous handmade art for your inspiration. I hope that reading about these artists helps you get your own creative juices flowing. 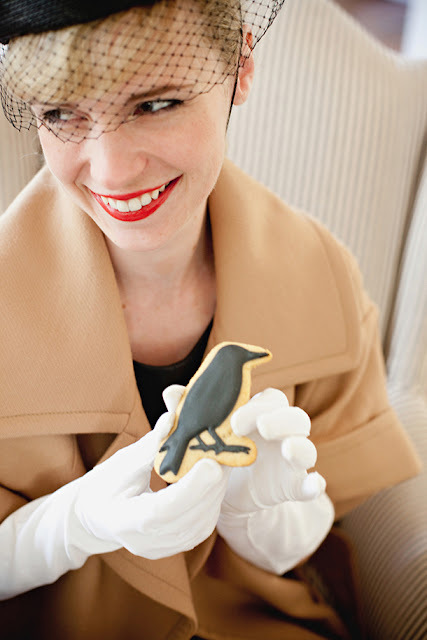 Fellow Artomat artist Rachel O now sells her "Fabulously Whimsical" jewelry on Amazon Handmade, which just launched. (Check it out if you missed it.) 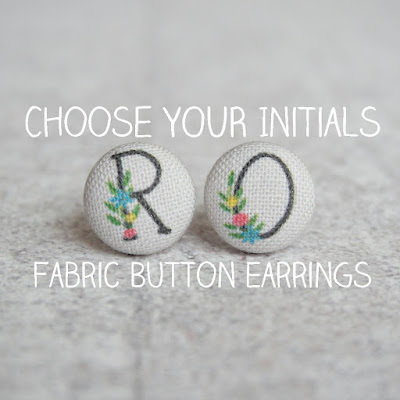 You can also buy her beautiful fabric-covered earrings on her Etsy store. Alfred Hitchcock gave us "The Birds," so we'll never look at another blackbird in quite the same way. If you throwing a Halloween party this month, then you'll need these cookies. Your guests won't know whether to be creeped out or to give in to deliciousness. Read the step-by-step instructions at CamilleStyles.com. Every blog needs interesting photos and great little stories. 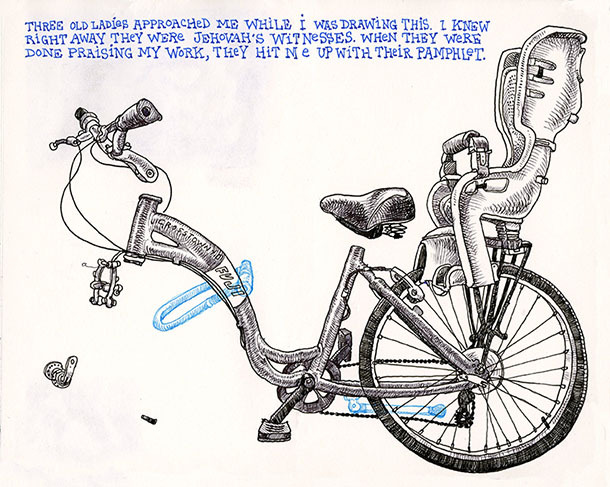 Tommy Kane's illustrations are interesting, and I love reading his short insights. Take some time to get inspired today. If you are enrolled in my Skillshare class on Kandinsky, then toward the end of the project, you will contemplate what to add as your personal stamp. There is a sure-fire method to figuring out what you are passionate about at this moment. Take a walk through your sketchbook and you'll see. Let's take a gander at my sketchbook as an example. 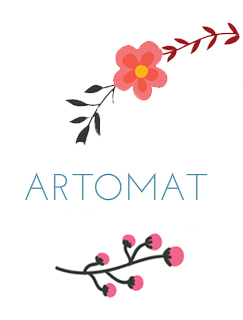 You will be obsessed with floral patterns in your sketch work. Although the natural world has more elements in it than symmetrical flowers, your eyes will not absorb anything else. Now that I have taken the time to review my sketchbook, it's easy to see that I need to use a floral motif in my personal stamp. What's an artsy girl to do in this situation? 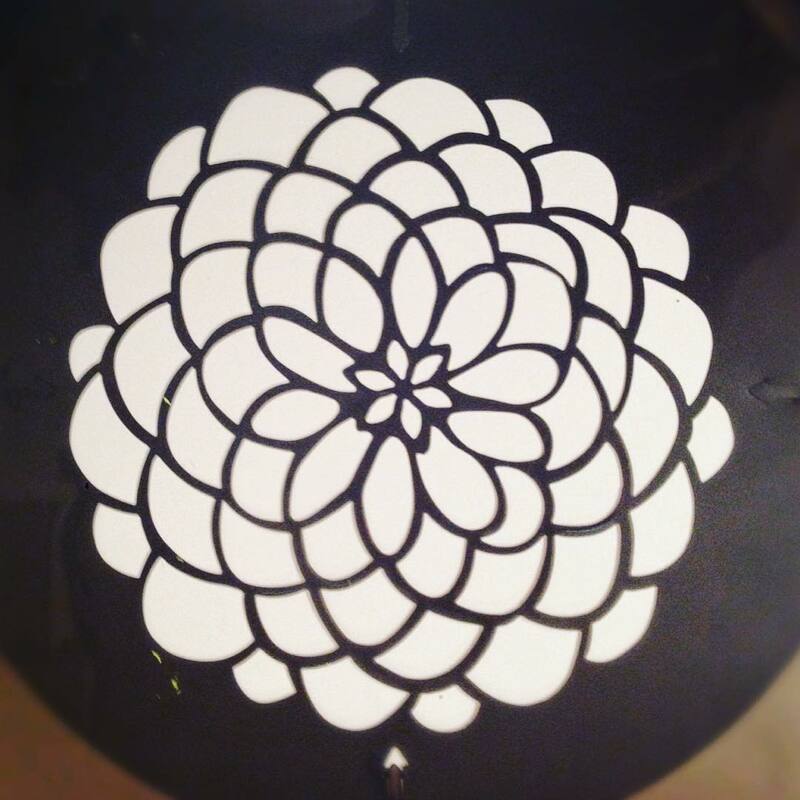 Run out to her local arts and crafts store and buy a flower stencil. 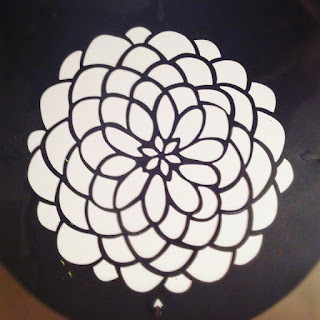 This is how I turned my Kandinsky Circle into a Kandinsky Rose. I chose to apply the stencil slightly off-center because, you know, I want people to think I'm unpredictable in my old age. Please let me know how you came to decide upon your personal stamp. I would love to see your sketchbook photos or hear your stories. I'm waiting right here on the other end of this paper cup and string telephone we call the internet. 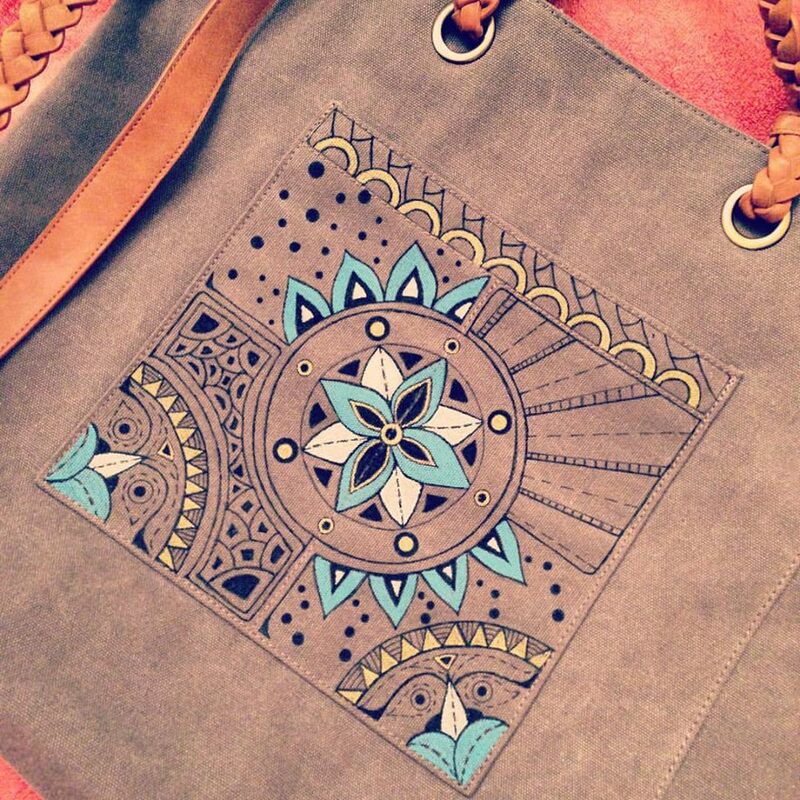 Recent find (grey canvas handbag) at BohoBlu in High Point, NC. Aztec, lotus flower and zentangle influences here. I kept the same color palette (black, white, turquoise, gold) for the back pocket design. Where did my artistic influences come from? and a general love of the Art Deco period. 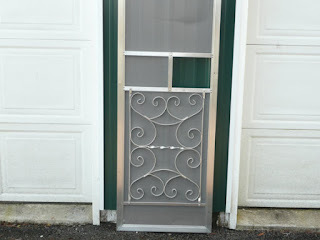 Grandmother's (Nannie Sue's) storm door from the 1960s. 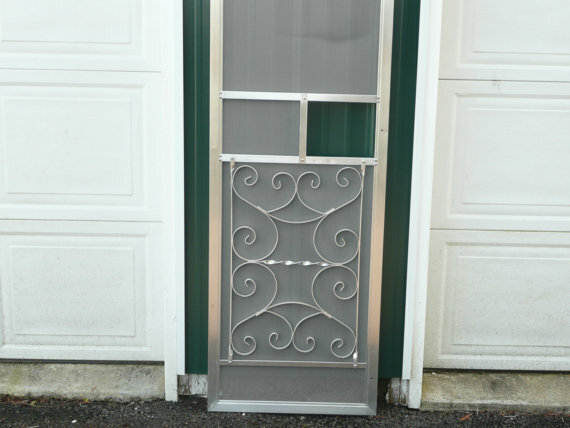 I found hardware from 1960s storm and screen doors on Ebay. Did everyone's grandma have a door with designs like these? a door like my Nannie's for my house. I love fall so much. It's hard to see, but there were so many little birds singing their hearts out while hanging out on these wires. I loved the clouds and the lines from the powerlines on this windy day (between tropical depressions weather fronts in early October in NC). I would love to attend this Fashion + Art event. Bought a new handbag at BohoBlu this weekend. So far, I have designed the front pocket. Can't wait to start on the other side and do another design. 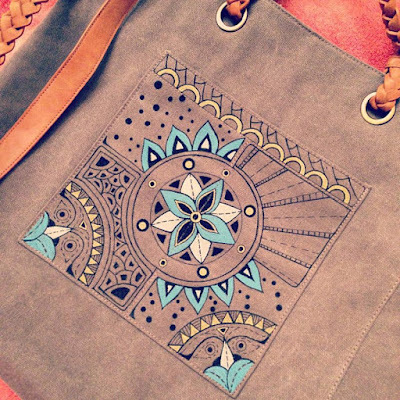 I love this canvas, grey bag that goes with anything. 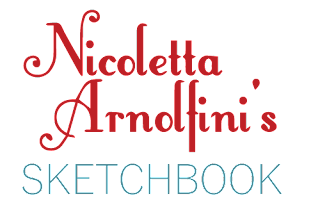 Abstract Art Skillshare Class from Nicole Arnold on Vimeo. 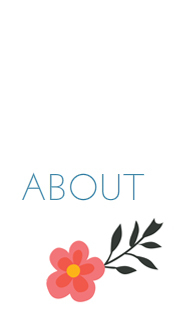 Skillshare is an excellent value: so many wonderful online classes. If you have any questions about this upcoming class, please let me know. You can always reach me at nicolettarnolfini@gmail.com. 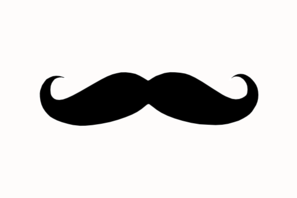 I'm looking forward to interacting with students as they post pictures of their progress. I will feature student art on my Instagram account, and on this blog. Watch this space for more updates as I finish the final videos. A big, special thanks to Point 200 for wielding their fancy, fantastic magic in shooting and editing this video. Just a few glimpses from my sketchbook this week.